The Housing Executive this morning again finds itself again at the centre of financial controversy with another damning report concluding that contractors have continued to be overpaid for work which they haven’t carried out during the last year. The Northern Ireland Audit Office (NIAO) report comes less than 24 hours after the announcement of a Stormont Assembly inquiry to investigate allegations that DSD minister Nelson McCausland and First Minister Peter Robinson had attempted to place undue pressure on the Housing Executive not to suspend the maintenance contract of Red Sky in 2011. As Social Development Minister Mr McCausland has been highly critical of the Housing Executive and its then chairman Brian Rowntree. Mr Rowntree resigned last year days before Mr McCausland published a damning report into NIHE’s lack of financial control over maintenance contracts. Crucially, while the report covers the period when Mr Rowntree was still in office in 2012 it also covers the subsequent period when Mr McCausland appointed existing NIHE chairman Donald Hoodless. •	NIHE paying contractors for materials which were never used. The report estimates that contractors have been paid by £18m since 2008. Auditor General Kieran Donnelly expresses concern that despite the Housing Executive being aware of overpayments since 2010 “it has taken so long for NIHE to address these issues” and notes the considerable degree of challenge by management to initial warnings from the audit office. The report found that NIHE’s own Corporate Assurance Unit (CAU), which is responsible for reviewing contract management approved by NIHE staff, continues to issue significant numbers of ‘limited’ and ‘unacceptable’ opinions in its inspection of both planned and response maintenance work during 2012-13. Out of a total of 26 housing districts inspected by CAU between 2011 and 2013 nearly two thirds (62%) had the standard of their contract inspection work judged as either limited or unacceptable. 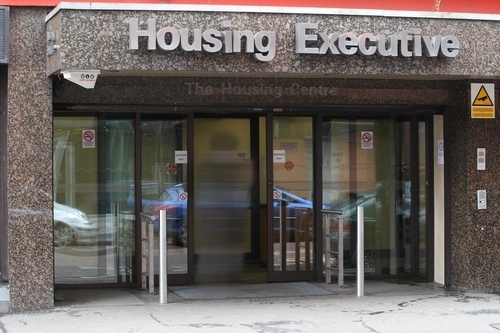 In 2012 the Audit Office expressed concern that the Housing Executive had potentially overpaid one contractor £500,000 for kitchen replacements. NIHE disagreed with the NIAO figures and claimed the total overpayments was much less. The report estimates that fraud and error in housing benefit rose by 50% last year by £10m. Auditors found that £20.8m was made in overpayments with a further £4.7m being underpaid due to staff error. “Worryingly the level of overpayments due to official error appears to have increased substantially, “Mr Donnelly said. “In addition, I also note that the estimated level of underpayments due to official error has increased substantially, when compared with 2011, by 30 per cent to £4.7m. “The level of fraud now more appears to be higher than at any time in the previous five years.